15-day free trial. No activation fees. OneRooftop puts a twist on the vacation rental industry. 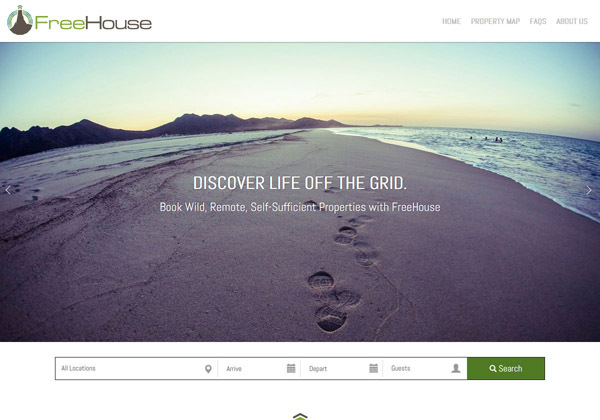 We love helping you grow your vacation rental business online with a professional website. 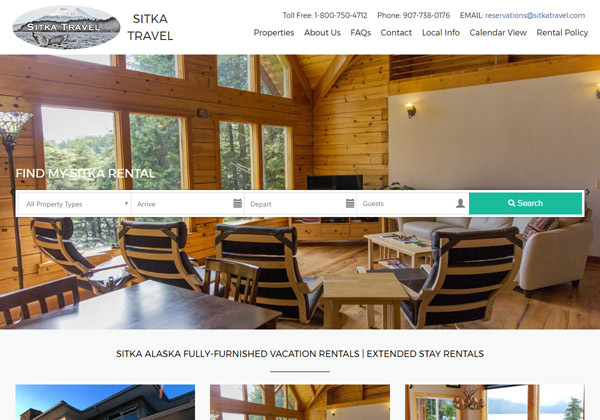 Every vacation rental website template we’ve built is complete with our all-in-one booking platform. Guests can easily search your properties for availability, find valuable information, and book their stay. OneRooftop’s team specializes in technology and creative style. 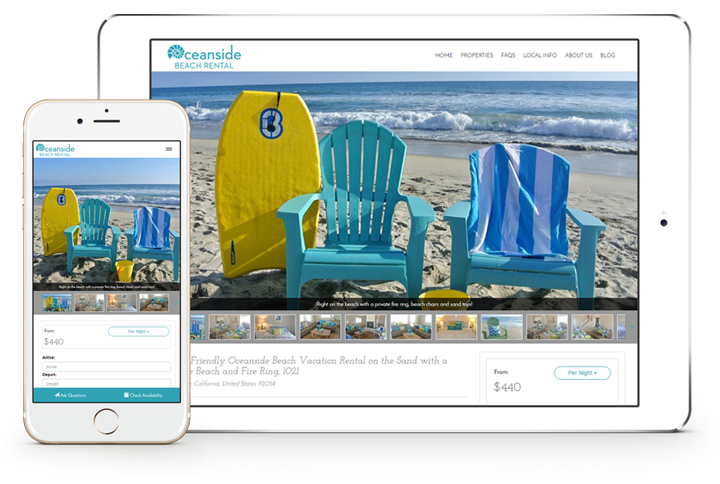 We offer up our website expertise in each template so you can easily convert potential guests. 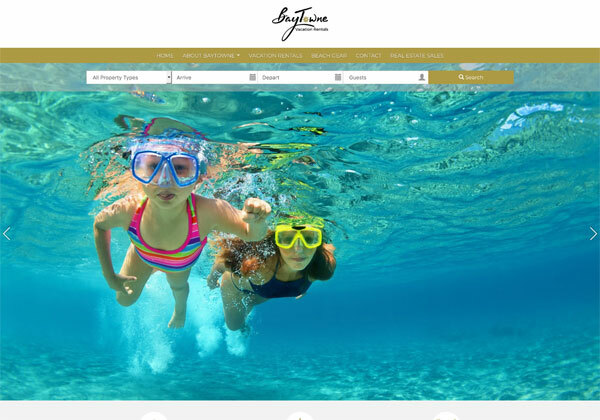 Websites inspire confidence and help build the experience you want guests to have. Now you can build that experience with an easy-to-use website builder. Add and update pages whenever you’d like. 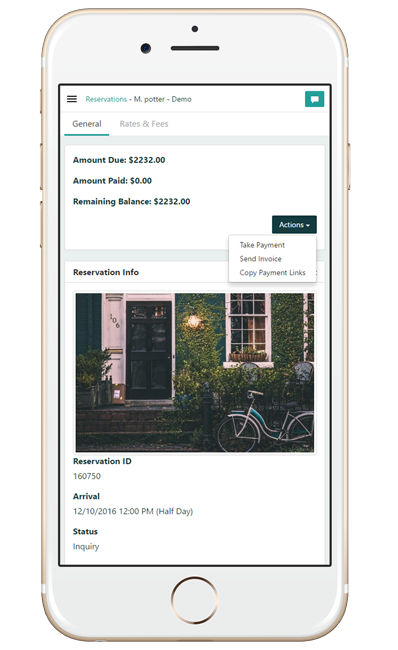 OneRooftop’s vacation rental software allows you to set prices and collect payments on your schedule. Easily accept payments through your website or channels. Add line item fees, take security deposits, and communicate with guests from your desktop, tablet or smartphone. Choose a template or work with a designer! 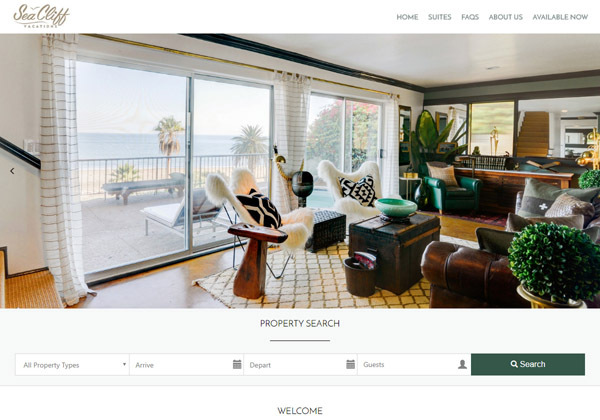 A full-service website design for property managers. This design brings big clear images and Austin TX creative flair to the forefront of their hospitality brand. Single property owners can make a big splash—especially when you bring in singular and sweet ocean blues. Plus you can get a lot of mileage out of your copy with this template’s beautiful, modern fonts. Average just won’t cut it. Showcase what makes your vacation rentals extraordinary with a full-screen map view and an outdoorsy color palette. Need flexibility? Be bold with a black and white design. This very popular theme brings a polished look forward. The simplicity of Northwest makes it pair well with just about any property type. Interactive and elegant, this enhanced theme brings in subtle flashes of color to engage guests. Especially recommended for vacation rentals on the coast or in warm places. Similar in many respects to “Ithica” theme, managers with small photos perform better with Elegante. 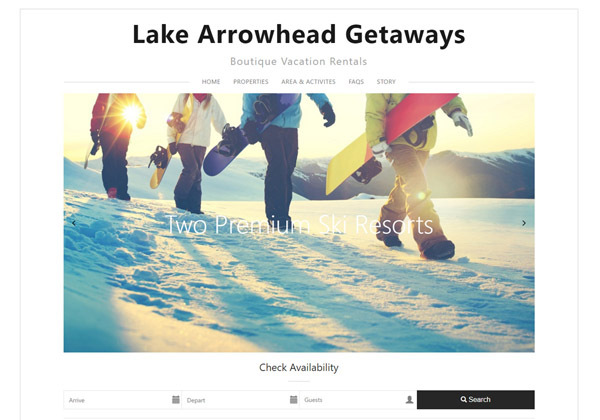 Vacation rental website templates let you just plug and play—and drive more bookings quickly! With neutral color tones, “Crisper” lets delicious photography speak for itself. Sea Cliff’s well-balanced theme took a color palette from its California coast to then enhance the popular layout in the Elegante template. 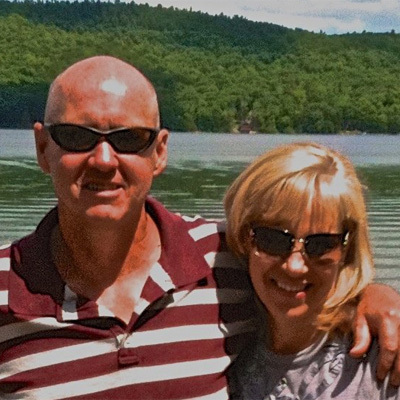 This Beaver Creek company wanted the most interactive experience for its year-round travelers. This custom-tailored website uses modern elements with full-width images and diagonal-line layouts. Martin is sunny, refined, and modern. Use your large photos for this template to wow your guests. 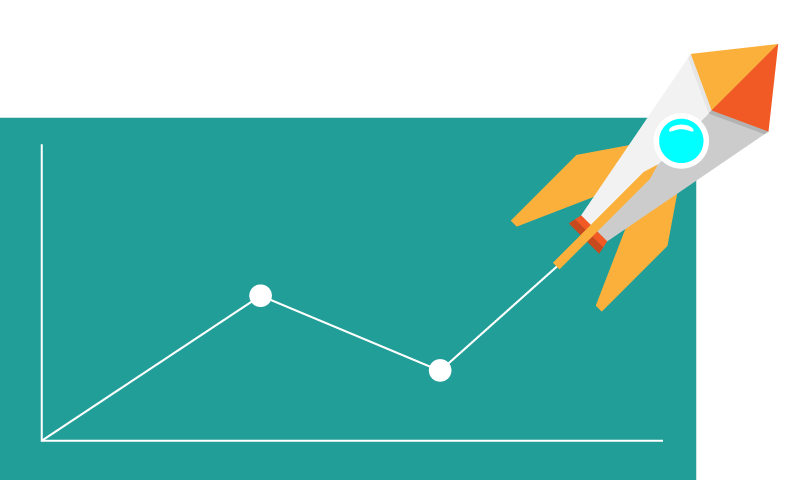 When you go live with OneRooftop, you can track your web traffic on Google Analytics. Use data to make your website better and identify the best-performing webpages. You can also set up advertising campaigns on Google, Facebook and Instagram to generate more direct bookings. Choose from professional, ready-to-go website templates. 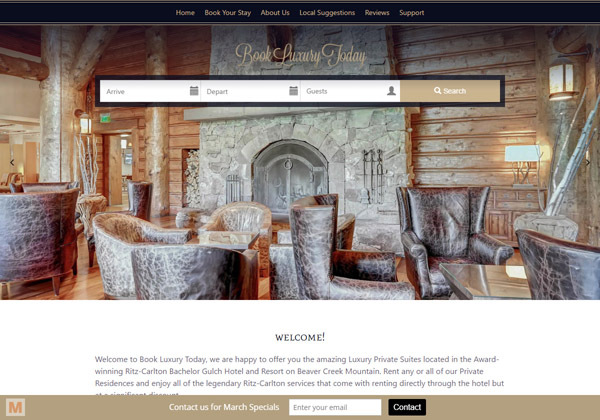 Your website is fully integrated with the booking engine and property management software. Easily feature properties and book guests directly on your own branded website, powered by OneRooftop. 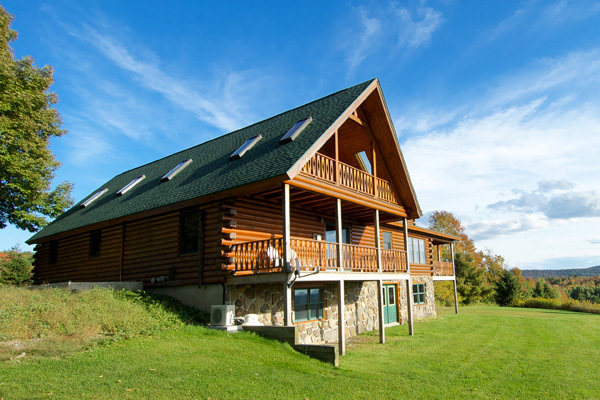 You have full access to the vacation rental software with the 15-day free trial. No credit card required. OneRooftop is a comprehensive vacation rental software solution that allows you to set up a website and book your vacation rental(s). 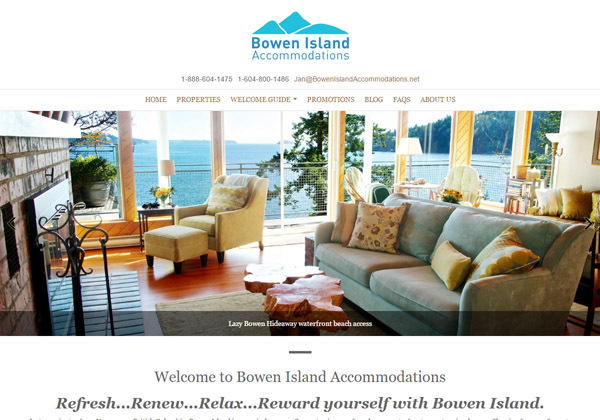 Are your vacation rental website templates mobile friendly? Absolutely! 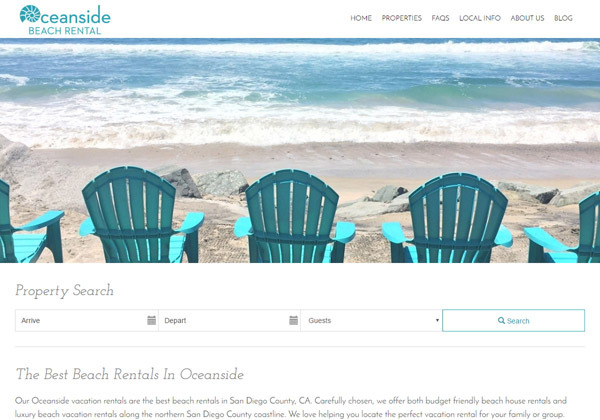 OneRooftop also offers design services in addition to our ready-to-go vacation rental website templates. Our talented designers will work with you to create a truly unique website. Will OneRooftop build my site for me? OneRooftop prides itself for being user-friendly. Building your website is simple and you will have full control over your content. If you would like a custom website design beyond what our templates offer, we would love to work with to design and code the website of your dreams. Can OneRooftop’s design team make my logo? OneRooftop would love to help define your brand with a stunning, professional logo. You can use this logo on marketing materials like a welcome book, business cards and your website. Does OneRooftop work on Wordpress? It sure does! Reach out to support@onerooftop.com to learn how to build a website on Wordpress using OneRooftop’s vacation rental software. 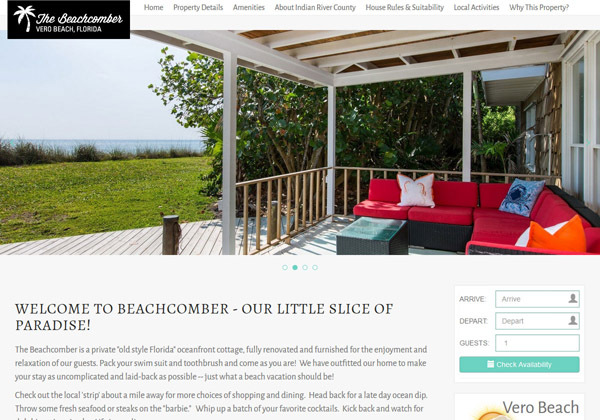 However, OneRooftop’s vacation rental website templates are a great alternative for owners and managers that are new to website building or who are seeking to get a website up and running quickly. Does OneRooftop write my content? Purchasing a domain name is highly recommended. OneRooftop provides a free “your-name.onerooftop.com” domain address. When you go live you can change this to your professional domain name, (aka “www.yourwebsite.com.”) Here are some tips for choosing a domain name. Yes you can! OneRooftop”s website builder lets you plug and play. Add pages, upload a logo, change your theme, customize your menu, pull in social media accounts, and build your own SEO. OneRooftop is powered by Stripe, a gateway-merchant software that lets you take credit card payments online at the low fee of 2.5% + 30 cents per transaction. These payments will be deposited into your bank account after only a few business days. Yes you can! You can also track your website traffic using Google Analytics. Read more about Google and Facebook.